Delays early on in the project has meant that it will now be completed 9 months later than originally planned and so this raise is to enable some of the existing investors to exit now. As this is an Interim Equity investment, the SPV will be issuing Redeemable Shares, with a fixed term and a fixed return. The ground works are complete and the SIPs panels being used as the structural frame are currently being manufactured offsite and should be in position in early April. Practical Completion is due in September 2019. The number of shares allocated in each class will depend on demand and will not impact the return. These Redeemable Class B and Class C shares along with the exiting Redeemable Class A shares cannot be redeemed until loans have been repaid and that all Redeemable Shares must be redeemed by the SPV before Ordinary Shareholders become eligible for Dividends or are able to remove any capital. 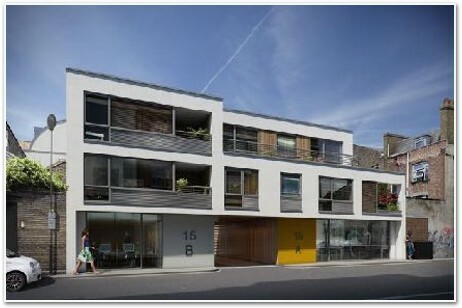 This mews style gated development has been designed by award winning architects to make the most of the location but also to fit in with the surroundings. 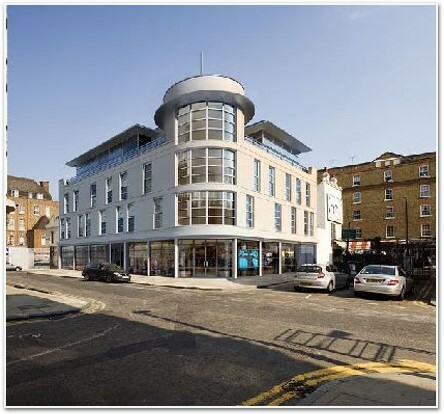 It is located on a quiet residential street and is close to Westfield, the new BBC development and the new Soho House. Each of the two 3 Bed houses have private gardens to the rear of the properties and first floor terraces, whilst the 2 Bed Units are single story, with secluded private courtyards. There is gated off-street parking for 3 of the units and a covered bicycle storage. These are modern, high specification units designed for the local target audience with sustainable features that includes ‘Green Roofs’. The construction is well underway via a fixed price JCT contract with Greenleaf Projects (UK) Limited and is scheduled to reach Practical Completion by the end of September 2019. The main structure is made up of SIPS panels which are fabricated off-site and will enable a quicker build. They will be delivered on site in April now the foundations are in place. The senior lender is ABC and they hold a first charge over the assets. In addition there are Ordinary Shareholders who have invested 20% of the total costs. Shepherd's Bush and nearby White City are at the centre of an £8 Billion regeneration that will see the already popular Westfield London shopping centre expand with a new John Lewis flagship department store plus 70 new shops and restaurants. Nearby, the iconic former BBC Television Centre is part of a large scale regeneration project by the developer Stanhope. It will bring 950 flats, offices, restaurants and bars, a Soho House run hotel and a private members club with roof top bar. Imperial College is establishing a new 25-acre research and innovation centre and more recently the Royal College of Arts has announced that it will be opening a new campus at White City Place. 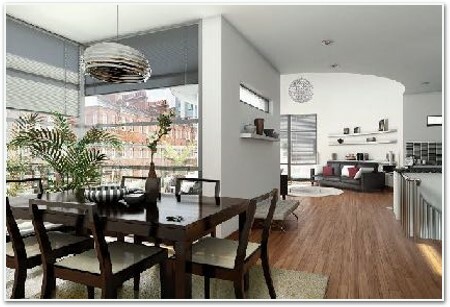 Willow Vale is located in a quiet residential area, a short walk from Shepherd's Bush Market, White City, and Wood Lane underground stations. Whilst prices in this area, as with most of Greater London, have declined over the last twelve months, this has been on the back of significant increases over the last 5 years. Target Annualised Return 15% or 18% p.a. Anthony moved to property development after retiring from the position of Joint Senior Partner at Taylor Johnson Garrett (now Taylor Wessing) solicitors. Since then he has completed more than 20 successful schemes in London and the Midlands. Roger has over 20 years experience in design planning and architecture. He has worked with Anthony on several schemes.